Doesn’t the Left always refer to Conservatives when we act like adults? Trump wants Germany to pull its weight in NATO. 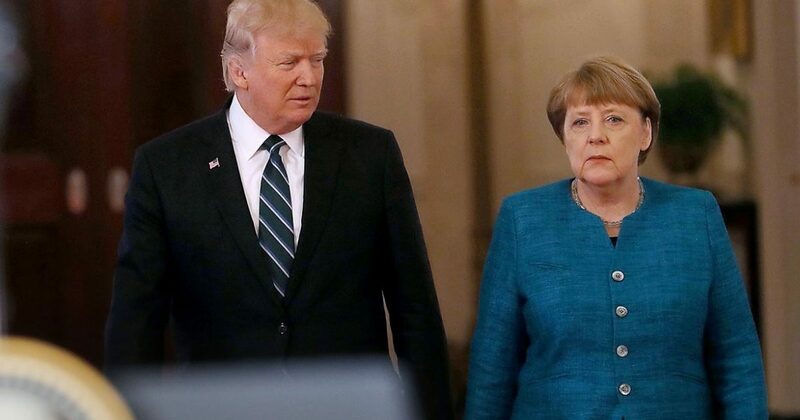 Rumors are that President Trump estimated Germany’s debt to the NATO alliance over the past 12 years, then added interest! Back in 2014, 28 nations of NATO agreed to pitch in 2% of the GDP to the NATO defense fund. As of now, only 5 nations are in compliance with that goal. Those five happen to be the U.S., Great Britain, Estonia, Poland and Greece. Germany is noticeably missing, as they haven’t paid their debt. Thus, President Trump supposedly broached the subject in his meeting with German Chancellor Angela Merkel. According to the Times of London, the invoice was put together by Trump’s staff, and the figure presented was for £300 billion or about $374 billion. One German minister called the invoice “outrageous”. What’s outrageous is that the Germans and 22 other countries don’t pay their bills. Moreover, they expect taxpaying Americans to do it for them. Merkel was said to have ignored the bill. Perhaps. But she won’t for long. Just like Mexico will pay for the wall, the Germans and 22 other countries will pay their bill to NATO. According to the Independent, Trump backdated the bill to the moment Germany pledged more to NATO defense. This actually happened before Merkel took her position. Therefore, she’s had the entire span of her job to bring Germany into compliance. Trump’s instructions were to calculate how short Germany was, then add interest. Why are only 5 out of 28 nations doing their share? Once again President Trump stands by his word. If Germany wants to reaps the benefits of NATO, they must shoulder the costs. The days of IOU have ended. In a press conference earlier in the month, Trump clarified his NATO opinions. America has been the private piggy-bank for far too many global elitists. They call upon us at their whims, putting our military men and women at risk at the expense of American taxpayers. We can’t go on “deficit spending” imaginary money so we can create feel-good moments. Thus, we must make the hard decisions, and have the direct talks. Germany is not the only culprit.